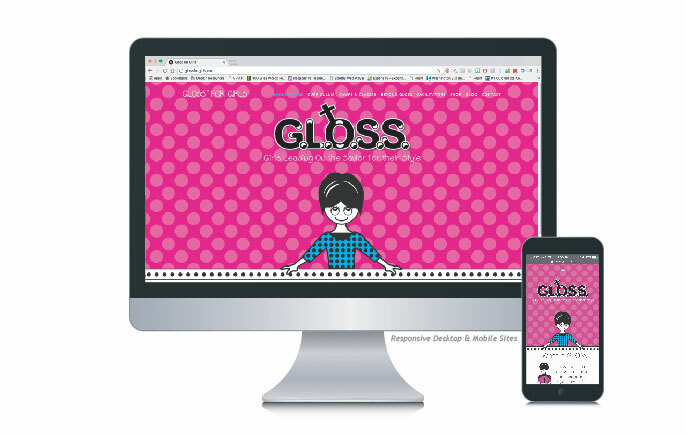 Talk about a trifecta — we had the distinct pleasure of designing and implementing this fun and funky website along with a workbook and a full set of cards and collateral for Wendy Tacey, founder and creator of the GLOSS for Girls movement. Anyone who knows us knows…we are all girl all the time and think that polka dots are the way to go. Pretty much a match made in heaven, if you know what we mean!